Today I've received a parcel from Israel. It's the Asus Xtion PRO sensor I've won in an OpenNI raffle they held last year on Twitter. The thing that surprised me most was how long it took to be delivered: only 1 day! Yesterday it was in Israel, today here in Switzerland. I'm looking forward to your thoughts about it! I'll play with it over the weekend. The devices are only partly comparable. The Xtion I have has only a depth camera while the Kinect also has an RGB camera, microphones and a base motor. 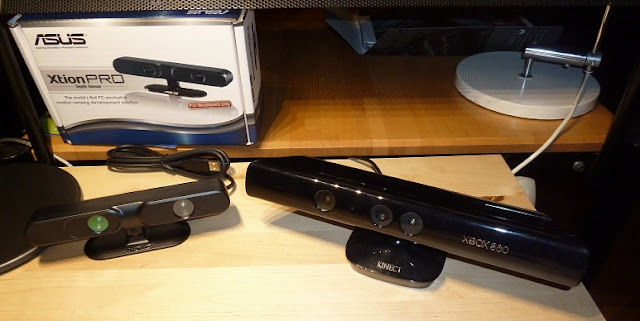 the kinect is 1 year old now and the hype is almost over. Asus xtion seems promising at first, but after so long it fail to enter the consumer market.